Michael Farzam, MD is a board certified medical professional in General Internal Medicine by the American Board of Internal Medicine, as well as an active member of the American College of Physicians and the American Academy of Home Care Physicians. Simply put, he's a truly skilled, experienced mobile doctor, making him the ideal option for those seeking the best in at-home urgent care in Woodland Hills. There are certainly a variety of options for urgent care in Woodland Hills, but only Dr. Farzam at House Call Doctor Los Angeles is able to diagnose and treat many acute and chronic medical problems and injuries from the comfort of each patient's own home. In fact, as one of the very few true house call physicians in L.A., Dr. Farzam provides urgent care in Woodland Hills, Calabasaas, and even downtown Los Angeles and areas around LAX. Though his urgent care in Venice, Woodland Hills and other areas in L.A. is convenient, that is certainly not the only reason so many patients have chosen Dr. Farzam for their medical treatment. Dr. Farzam and his equally dedicated team specialize in treating acute illness, sinusitis, kidney infections, ear, nose and throat ailments, alcohol and drug withdrawal symptoms, adult medical care, skin infections, lacerations and much more. 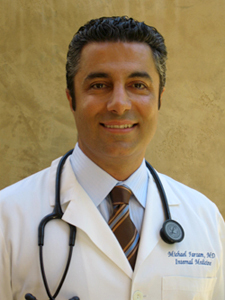 As a supplement to his at-home medical services, Dr. Farzam even provides telecare to Los Angeles patients. House Call Doctor Los Angeles uses telehealth and telephone consultations using technologies like Skype, mobile and interactive video conferencing and much more. Many patients with relatively minor medical issues prefer consultations over the phone, and Dr. Farzam is happy to comply. Whether you're in need of medical service like urgent care in Thousand Oaks, Woodland Hills or anywhere else in L.A. area, you'll be thrilled with the warm, individualized care you receive from the House Call Doctor Los Angeles.